Welcome to Hilton Garden Inn Miami Dolphin Mall conveniently situated adjacent to the Dolphin Mall Ikea and the Miami International Mall and less than 10 miles from Miami International Airport. Our unique location places us minutes from several businesses and attractions including downtown Miami the Doral Business Park and the famous Art Deco District. An ideal overnight stay destination for pre- and post-cruise travelers our Miami hotel is also within a short drive of the Florida International University campus Miami Beach the Everglades National Park and lots of sports venues. Enjoy a delicious twist on classic American and Latin dishes cocktails and craft brews at our Flamingo Grille and Lounge. Buy sundries and late night snacks in the 24-hour Pavilion Pantry. Bright and functional our guest rooms offer complimentary WiFi a microwave mini-fridge and 42-inch HDTV. Refresh in the swimming pool or energize in the fitness center. 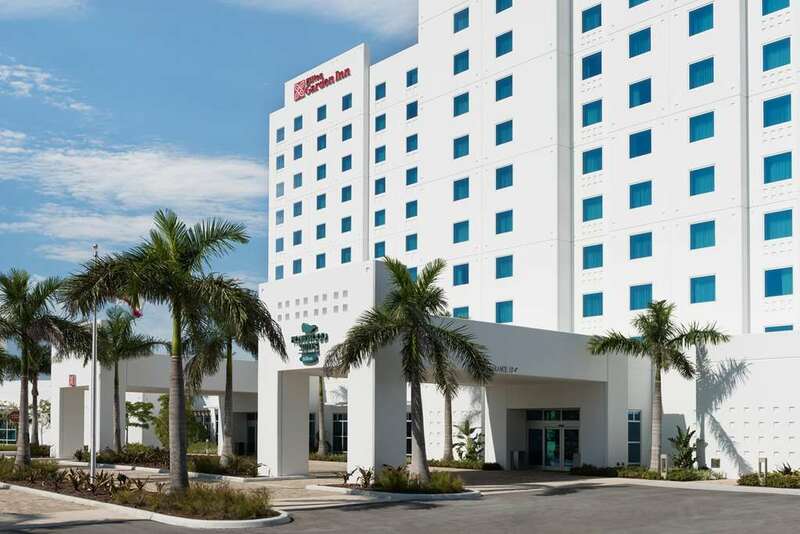 An ideal venue for business and social events this Miami hotel near Dolphin Mall has a 5 500 sq. ft. conference center and lots of versatile function space. Our divisible Flamingo Ballroom can seat up to 160 guests and the Heron Board Room offers executive seating and state-of-the-art audio/visual equipment for seamless presentations. All reservations must be cancelled 2 days prior to arrival unless a deposit is required. If this reservation was made electronically please cancel it electronically to avoid confusion and a no show bill. Policy is subject to change. Policy is subject to change.